Mercure Convention Center Ancol-Jakarta offers its wedding packages that can accomodate until 2000 invitees. The wedding couple can choose their own wedding style with an elegant indoor wedding or romantic outdoor wedding by the seaside. Our wedding teams will arrange your special wedding day with a great moments in our Krakatau Grand Ballroom for indoor, Terrace Garden for romantic outdoor wedding by the Seaside, and Pelangi or Bidadari Ballroom for Chinese Wedding Set Menu. This is the reason why many couples decide to hold a wedding celebration at Mercure Convention Center, Ancol - Jakarta. We also have a large parking area, free entry to Ancol Gate, strategic location, only 20 minutes away from the city center. Situated within Indonesia's largest amusement and recreation in Ancol Taman Impian. Only 20 minutes drive from Soekarno Hatta International Airport, and only minutes away from Jakarta's most widely known shopping area, Mangga Dua. Wedding package consists of the Traditional, International and Chinese Wedding Set Menu. Not only that, the honeymoon package is also presented to the newlyweds. 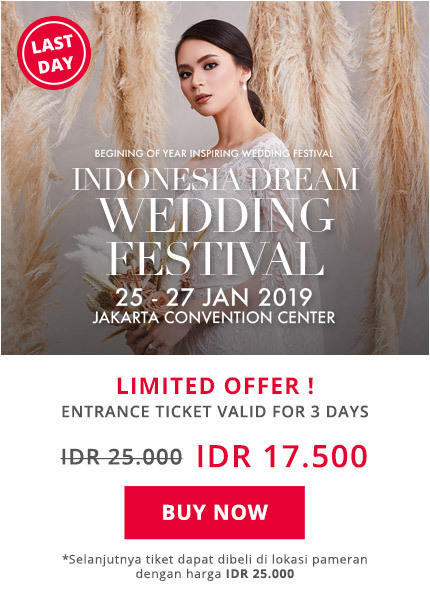 Celebrate your wedding party with your lovely spouse at Mercure Convention Center Ancol - Jakarta because Mercure Convention Center Ancol - Jakarta will always take care of your once in a life time, special moment.